Firstly, we promise fast shipping along with professional and secure packaging. But most importantly you can be assured of old fashioned customer service. You can expect our service to be friendly and professional. We've been in the electronics industry serving millions of customers since our company was established in 1977. You can also be assured that the service will continue after you receive you purchase. Our goal is for you to return to our store or recommend us. So we wish for you to only to have a positive experience. Don't miss out on your chance to SAVE while buying from a trusted seller! Your Paypal account must be a Verified Paypal account. Selecting "Immediate Pay" is a fast way of insuring your order will be processed and shipped right away. 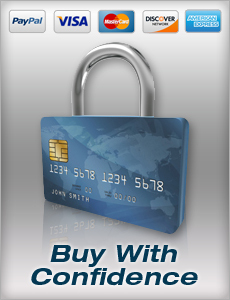 If you would like to pay via Credit Card please call us at toll free @ 1.866.935.EBAY (3229). We reserve the right to limit quantities or cancel orders to Resellers and Exporters. Please provide a valid phone number during the check-out process as UPS and our Trucking Companies require it. We only ship to confirmed Paypal address and we may still contact you for additional verification. Orders are shipped within 1 business day after payment clears. 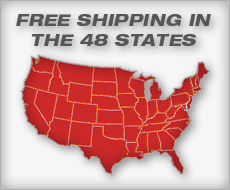 TriStateCamera's eBay store ships to the 48 Contiguous United. We now ship to Canada, parts of Europe and Australia. Please review shipping exclusions within the shipping tab for a complete list of countries we do not currently ship to. 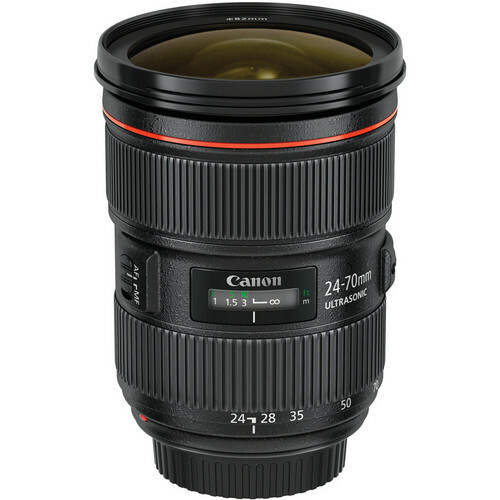 Items with "Free Shipping" apply only to the 48 contiguous United States. Shipment errors due to a incorrect address entered by the buyer and will not be credited for shipping charges if returned or at all if lost or abandoned by the carrier. We utilize multiple warehouses across the Continental United States. If you order two or more products from us, they may ship separately. We supply tracking information directly to your eBay account within 24 hours after the shipment leaves our warehouse. Please make sure that our email messages don't go into spam or junk. Please Note: Processing time is not the same as transit time. Orders placed on Friday after 11:00am Eastern Standard Time will be processed the following Monday. Please allow between 3-9 Business Days for shipping transit time within the contiguous 48 states. For faster shipping times please choose one of the expedited shipping options. Please Note: If your USPS tracking number does not provide any information within 48 hours of departure. It is due to the fact that it was shipped using UPSmi. Please visit UPSmi.com to view detailed tracking information. All TV's over 47 inches or other large items will ship via Truck Delivery. An appointment will be made by the Trucking Company 24 hours before delivery. Please read this carefully before purchasing any TV from us. LCD, LED and Plasma TVs as well as Monitors from 20" and above can not be returned unless damaged in transit. If your TV arrives by UPS or FedEx: Please inspect the box from the outside for visible damage. If the box is not in perfect condition you should refuse it. Once you sign for it or open the box, you can not claim in-transit damage. If the box looks fine, you can then sign for it & open the box for further inspection after the carrier/driver leaves. You should check your TV ASAP to make sure that it works fine. If there are any problems, please let us know. If your TV arrives by special truck delivery: Please inspect the TV for both, external damage AND make sure that it powers up before you sign for it. If there's any external damage to the box, or it doesn't power on, do not accept it or sign for it. (According to the trucking company rules, you need to test the TV at the closest power outlet to the door. They are not required to wait until you put the TV in its intended place or till you test the cable connections). After the truck leaves, you should further test the TV to make sure everything works perfectly. If there are any problems, please let us know. Damage claims must be reported within 24 hours of receipt. International taxes and duties: International shipments may be subject to import fees, duties and taxes, which are levied once a shipment reaches the respective country, in addition to the brokerage fees/custom clearance charges which may be imposed by the carrier. These charges must be borne by the recipient. TriStateCamera has no control over these charges and cannot predict what they might be. Orders shipped using eBays (GSP) "Global Shipping Platform" have already paid their taxes and must contact eBay directly for any issues. We won't under-value merchandise or mark the item as a gift on customs forms. Doing that is against U.S. and international laws. Please do not request us in doing so, as this can not be accommodated. You may return merchandise purchased from TriState Camera for a refund or a replacement, provided that the procedures and requirements referred to in our return policy below are followed. All product returns require a return authorization number (RMA). A RMA number must be issued within 14 calendar days after the date of receipt; it will be valid for 14 calendar days after it is issued. Returns should be double boxed, to avoid defacing the original box/packing of the product. The RMA# should be clearly visible on the shipping label. A copy of your invoice and Order # should be included, and your Return should be insured, with shipping costs pre-paid. Returned or exchanged products must be in brand-new, original condition. Items must be in the original, undamaged manufacturer's packaging with all packaging materials, including instruction booklets, packing inserts, and the blank warranty cards. Memory cards and any other Blister Pack items are not returnable once opened. Any merchandise missing the original Universal Product Code (UPC) cannot be returned. The manufacturer's labeled packaging must be enclosed within an additional shipping carton. Please do not place stickers or shipping labels on the original manufacturer's package. A processing fee of 15% will apply to the value of all merchandise returned for a refund. If you purchased a product from TristateCamera that you wish to exchange for an alternative, for speedier receipt of your exchange you can place a new order for the desired item and when we receive the original back we will issue your refund. If time is not an issue you can send back the original and upon receipt we will ship your exchanged item. Processing fees may be waived on exchanges, ask our service department about this when processing your exchange. An item that was discovered to be defective upon receipt can be replaced with no processing fee. You may also return a defective item for a refund. Return shipping cost (the cost to send an item back to our warehouse) is like or comparable to your cost of driving to any store in order to return an item, which is not reimbursable. Therefore, we do not reimburse any return shipping cost. If an item you received is defective, we will certainly replace the item with a new one, however we do not cover or reimburse the shipping cost for returning defective merchandise back to our store. We will ship the replacement product to you at our cost, and use every good measure to ensure that the replacement order is processed quickly. Although we have a very flexible return policy on most of the items we sell, there are some exceptions. There are product categories which are not returnable, due to hygienic, sanitary, or other reasons, as required by the respective Manufacturers. Please review the categories below to make sure that your purchase qualifies to be returned. If opened the following categories are non-returnable. Printers are not returnable once the toner is installed. Desktop Computers are not returnable once they are booted up. Tablets & Notebooks are not returnable once they are booted up. If any item's seal on package is broken, as per the manufacturers contracts, all service to be done through them directly. Purchases from these categories are final. In case any of these items is defective, Customer must return them to the respective authorized service centers, for repair or replacement at the option of the Manufacturer. These items cannot be returned to the Merchant.